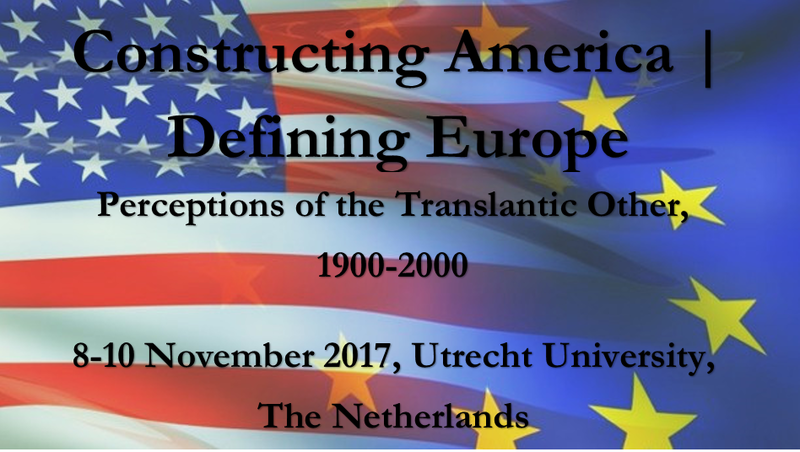 How were ideas, products and practices associated with the United States valued in Dutch public discourse between 1890 and 1990? How can e-tools be used to map trends and changes in relation to the economic power, cultural acceptance, and scientific and technological impact of the United States as reference culture? How does public discourse reflect and influence the emergence and impact of reference cultures? Reference cultures are mental constructs that do not necessarily represent a geopolitical reality with an internal hierarchy and recognizable borders. These culturally conditioned images of trans-national models are typically established and negotiated in public discourses over a long period of time. Reference cultures have played a crucial role in the dynamics of global history and involve complex cultural encounters between innumerable and unidentified actors with a variety of perspectives and interests that escape the span of traditional research methods. In contrast to essentialist and territorial concepts such as empire and nation, the concept of reference cultures allows us to address the shifting subjectivities central to cultural encounters and question rather than assume national identity formation. Both “empire” and “nation” imply geo-political power constellations. In most academic discussions the complex historical phenomenon of an “empire” is defined by internal power hierarchies. Empires are characterized by a power center and a periphery of dependency, between which asymmetrical economic, cultural and demographic exchanges take place that often can be defined in terms of exploitation and extraction. Also, an empire is a geopolitical reality with recognizable — if contested — borders. Although empires come in many forms, projected power and centered geography are key elements. Reference cultures, in contrast, are mental constructs or “cognitive maps” that do not necessarily represent a geopolitical reality with an internal hierarchy and recognizable borders. These culturally conditioned images of trans-national models are typically established and negotiated in public discourse over a long period of time. The academic discussion suggests that the interplay of political and economic supremacy with the “soft power” of cultural attraction and reputation plays a crucial role in how dominant nations and cultures establish guiding standards for other cultures. Historical examples such as the Dutch Republic in the Golden Age, nineteenth-century Great Britain, twentieth-century America—and perhaps twenty-first-century China—suggest the importance of cross-cultural models. However, the specific historical dynamics of reference cultures have never been systematically analyzed and hence are not fully understood. Several considerations make the United States an ideal case to study the underlying dynamics of reference cultures. As publisher Henry Luce suggested in 1941, the twentieth century can, to a significant degree, be called ‘an American Century.’ Many scholars have argued that what the English journalist William T. Stead in 1902 presciently dubbed The Americanisation of the World has been the result of a deliberate policy of public diplomacy or “cultural imperialism”. Assuming a direct connection between economic and cultural dominance, historians claimed that the “coca-colanization” or “McDonaldization” of the world created an “irresistible empire” of American mass culture, mass consumer goods and consumerism. More recent scholarship has put the effectiveness of these push factors into perspective by underlining the agency of receiving audiences in more complex and reciprocal processes of selective appropriation, “creolization” and resistance. If the United States has become a leading culture that has dominated public discourse in European nations, its ascendancy was not the result of a continuous and linear process of cultural transfer, but rather the outcome of numerous distinctive transatlantic encounters in a variety of domains, each with its own participants, dynamics and pace. The time frame of 1890-1990 for this project is chosen as to include both the emergence of the United States as an internationally expansive economic powerhouse at the end of the nineteenth century and the emergence of a multipolar world after the end of the Cold War; although both dates should be considered as approximations which may be adjusted in individual sub-projects. An end date of 1995 is forced by the scope of the digital corpus of historical newspapers that is central to this project. We propose that the key to understanding the emergence and dominance of reference cultures is to chart the public discourse in which these collective frames of reference are established. The availability of a large digital data collection in the National Library of the Netherlands (KB) enables us for the first time to study long-term developments and transformations in these national discourses in a systematic, longitudinal, and quantifiable way by using innovative text-mining tools. These e-research tools allow us to test the value of qualitative heuristic models and to pair them in a meaningful fashion with quantitative methodology. This will demonstrate that conclusions based on large quantifiable data sets concerning public debates open new vistas in humanities research because they (a) provide a robust framework for contextualizing conclusions based on traditional qualitative research; and (b) directly complement numerical data sets provided by other researchers, for example on economic and social trends. The starting point for this project is the open-source software infrastructure xTAS (http://xtas.net) developed by the Intelligent Systems Lab (Maarten de Rijke) at the University of Amsterdam. xTAS is being used in a range of academic and non-academic projects, with external partners ranging from the Netherlands Institute for Sound and Vision (Beeld and Geluid) to Politie Gelderland-Zuid. Building on this infrastructure, and in collaboration with historians at Utrecht University, a CLARIN-supported web-application for historical sentiment mining in public media has been built (http://washp.nl). We intend to further develop and fine-tune the functionality of this semantic-text analysis application for the data analysis required to trace changes and variations in public discourse over long periods of time. Successful development requires a further negotiation of methodologies, practices and comprehension between historians and computer scientists. Therefore, every developmental task and research activity envisaged within the project will be a trans-disciplinary co-production: from selecting and filtering out meaningful lexical items, carrying out text-mining tasks, training the algorithms to meet the needs of the domain users up to in-process feed-back loops.